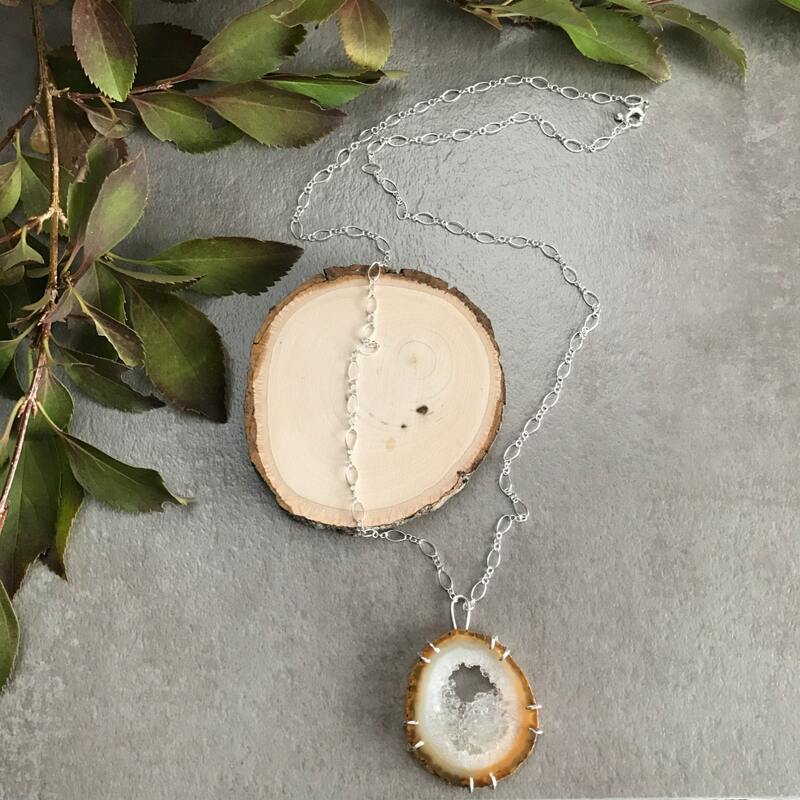 * Stone pendant measures 2.25" long and 1.75" across. 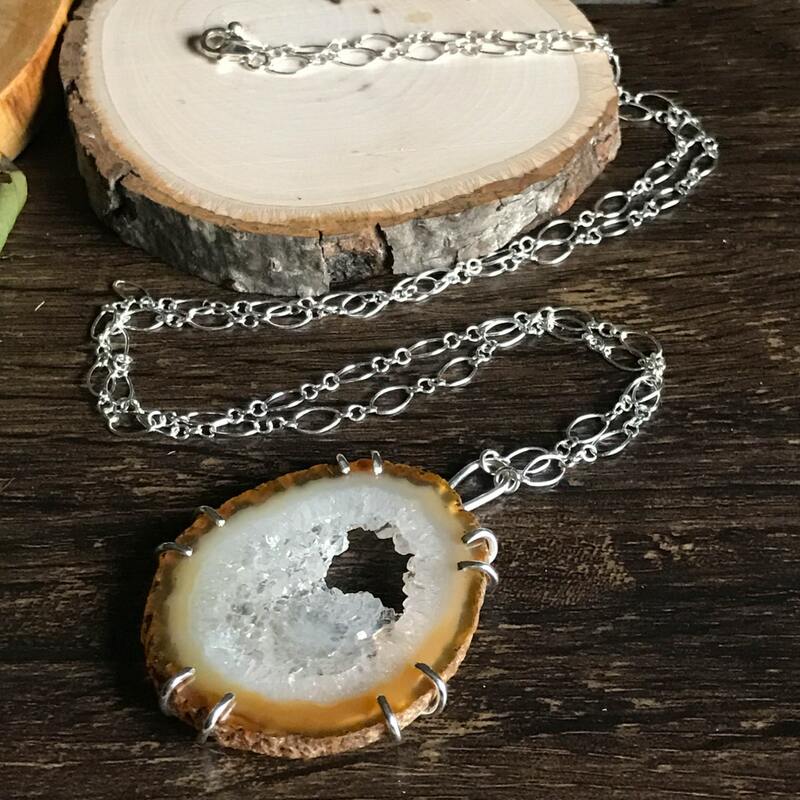 This unique pendant necklace was handmade with an Ocho Agate slice and solid sterling silver. I created an open back prong setting for the stone to highlight the center which is open with crystal formations all of the way around the interior. This is such a gorgeous stone! 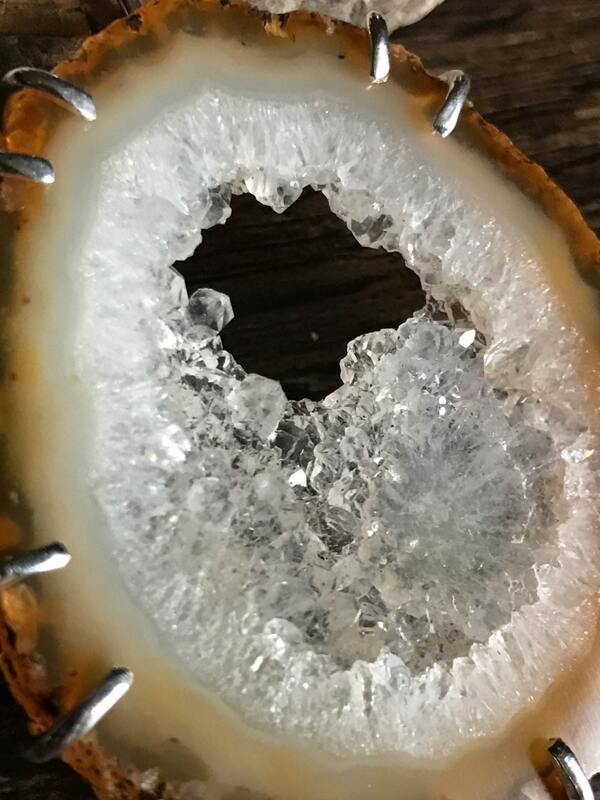 The rough exterior of the stone is still visible around the perimeter which is a cool contrast to the geode forming in the middle. I put the pendant on a long sterling silver chain that can be worn up to 28". 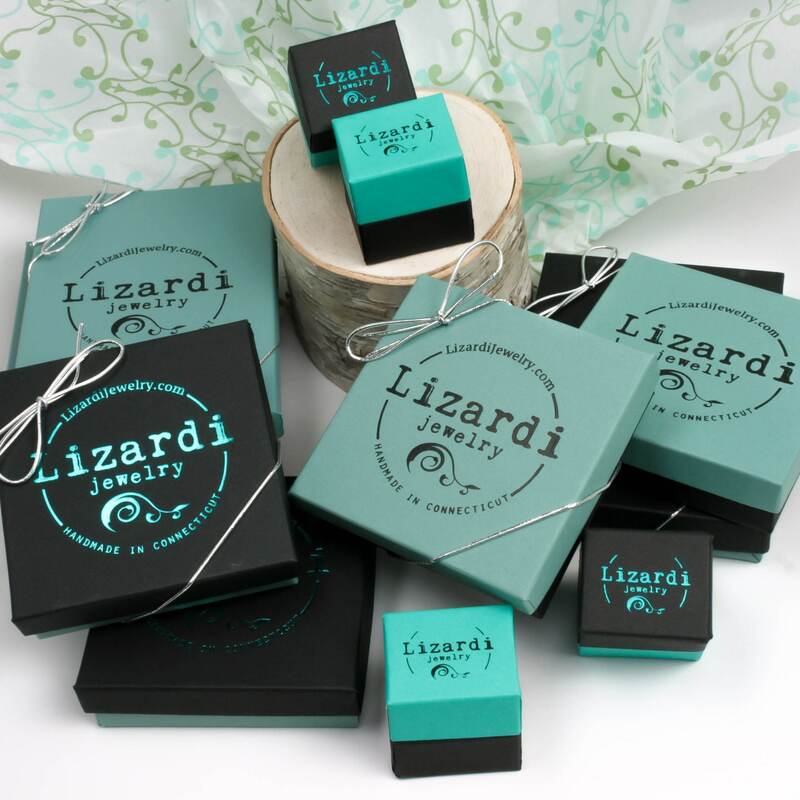 Because the lobster claw clasp fits into any of the chain links, you can wear this at any shorter length as well.